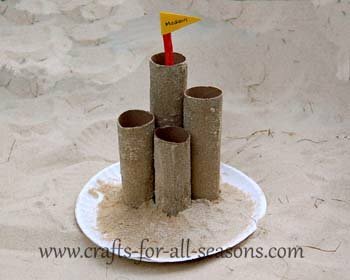 This sandcastle craft is a wonderful Summer craft for kids. The castle is made using empty paper towel tubes and some play sand from the sand box or the beach. Children love working with the sand, and the castle can be personalized with a flag with the child’s name. 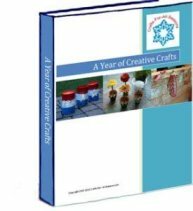 This is a great craft for summer camps or for summer preschoolers. 1. 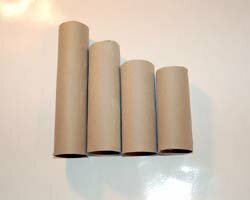 Begin the sandcastle craft by cutting the paper towel tubes into four different lengths, as shown. The size of each length is not important, and it makes each sandcastle look unique. 2. Pour some play sand on to the paper plate, covering the entire bottom of the plate. 3. 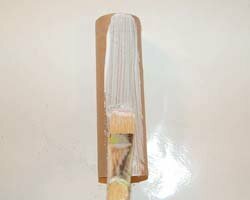 Using a paint brush, paint on a thick coat of white glue all over the paper towel tube. Or, if you are having a lot of children do this craft, you could pour the glue on to a plastic plate and have the children roll their tubes in glue. 4. 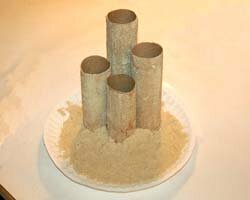 Next, roll each paper towel tube in the sand on the plate, to cover the tube. Shake off the excess and allow each tube to dry thoroughly. 5. 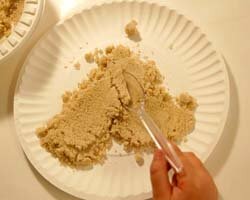 Add more sand to the paper plate if necessary, and add a dollop of glue to the sand, as shown. 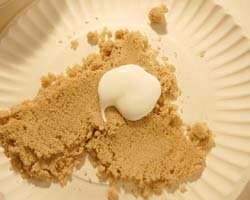 Use a spoon and stir the glue into the sand to create a wet, sludgy sand. Stand the sand covered tubes on the paper plate, arranging them with the tallest in the back, and the shortest near the front. Push the glue-sand mix all around the tubes. This helps support them to stand. 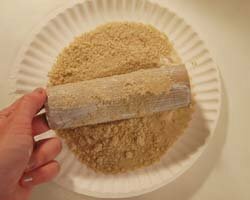 Spread the rest of the sand-glue mixture all over the plate. Allow everything to dry. 6. 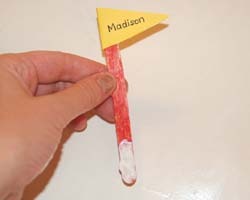 To make a flag, color or paint the wooden craft stick (optional). 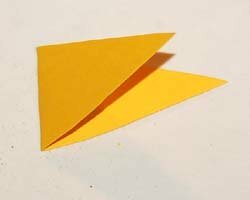 Fold a small piece of colored construction paper or card stock in half, and cut out a triangle flag shape as shown. This can be personalized with the child’s name. 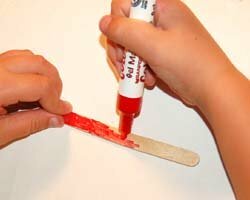 Glue the wooden craft stick inside the folded triangle shape, and glue the flag to the inside of one of the tubes. Your beach craft is complete!